Can you believe it? Those little starving one-year-old Haitian children who live in mud huts with dirt floors and no electricity and no running water who come to our Malnutrition Center never bring any money to pay for their care. The nerve of them! Actually, we would be shocked if these precious children and their families had any money to give. They live in extreme poverty and one of the reasons they are starving is because of a lack of resources. Two years ago, after much prayer and planning, God provided in miraculous ways as we opened our Inpatient Malnutrition Center that we call Pen Lavi. Pen Lavi is a Haitian Creole phrase that means Bread of Life. Pen Lavi is akin to a “mini-hospital” where we give round-the-clock care to starving children. 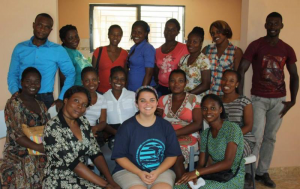 We have 15 full-time employees at Pen Lavi including nurses, nannies, cooks, cleaning ladies, and others. Children typically stay seven weeks or until they are healthy enough to return home. Thus far, we have treated over 80 children whose lives have been dramatically altered. In addition, we invite the mothers to stay at Pen Lavi and learn better ways to care for their children. Pen Lavi is one of our two non-revenue producing ministries. As noted above, starving babies who live in mud huts do not bring any money when they are admitted. Therefore, we must fund the $127,000 annual budget from other sources. Our goal is to raise the entire $127,000 budget in one event every year. This way, we can spend the rest of the year ministering to malnourished children rather than spending all our time and energy raising funds. 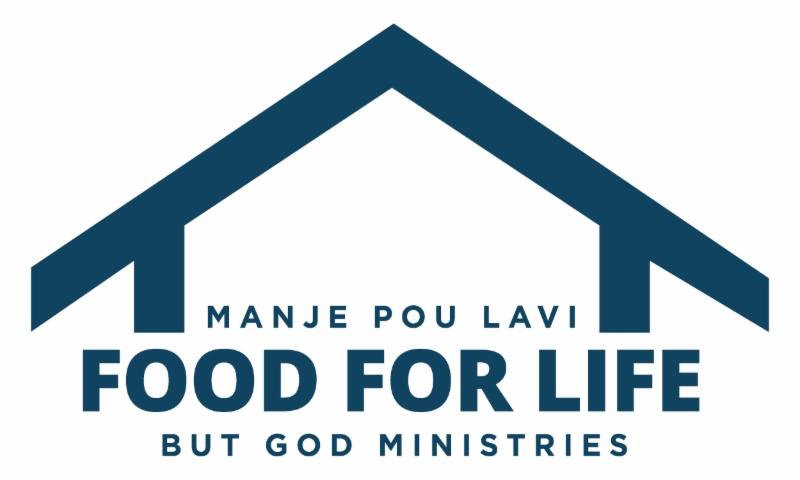 So, we are hosting a special dinner called Manje Pou Lavi which, in Haitian Creole, means Food for Life. 100% of the proceeds from the Food for Life dinner will go to support our Pen Lavi Malnutrition Center. We want to thank Amy Adams, our first ever Event Chair and her amazing team of volunteers who have helped us immensely with this event. Our Pen Lavi Malnutrition Center staff is doing a fantastic job! 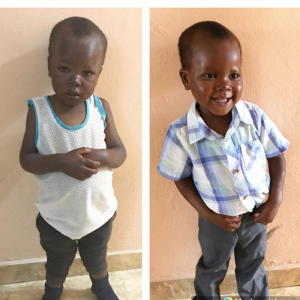 It’s amazing what proper nutrition and a little TLC can do in the life of a child. Inspiration – Pastor Mathurin of Haiti will be present to talk about the challenges of hunger in Haiti and the great work Pen Lavi is doing. Still more inspiration – Rachel Charpie, the Director of Pen Lavi, will be there to share amazing stories of lives saved and love shared. Satisfaction – You’ll be helping to feed starving children. ALL OF THIS FOR ONLY $45! Click HERE to purchase your tickets. You will be asked to create an account so you will be all set for the auction and added to our attendee list. 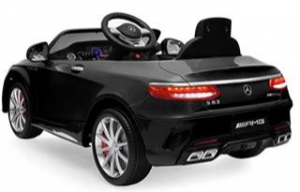 You can even save your credit card if you prefer for ease of bidding later. In addition to our great dinner and inspirational program, you’ll be able to bid on amazing auction items. The auction will be conducted online! That means you can bid at the dinner on May 2 or you can bid anytime beginning April 25 and from anywhere. When you purchase your tickets for the event, you’ll be automatically registered to bid on the auction items. If you just want to bid on the auction items and not purchase a ticket to the dinner, you can do that as well. 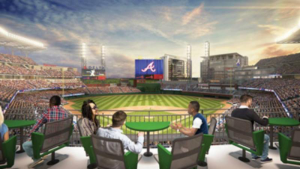 4 Atlanta Braves Chairman Club seats that are located between the dugouts. Check out these unique seats and this amazing view! To get more information about the event, click HERE. To purchase tickets for the event or to see the auction items, click HERE. I am thrilled to report that through table sponsorships and other donations we have already raised $68,000. Would you help us reach our goal of $127,000 and provide life and hope for starving children in Haiti? Finally, may we never forget how God feels about the poor and the suffering. In Proverbs 14:31, He tells us, “Whoever oppresses the poor shows contempt for their Maker, but whoever is kind to the needy honors God.” It’s my hope that we will honor God through showing kindness to some of the poorest and most vulnerable people in all the world.